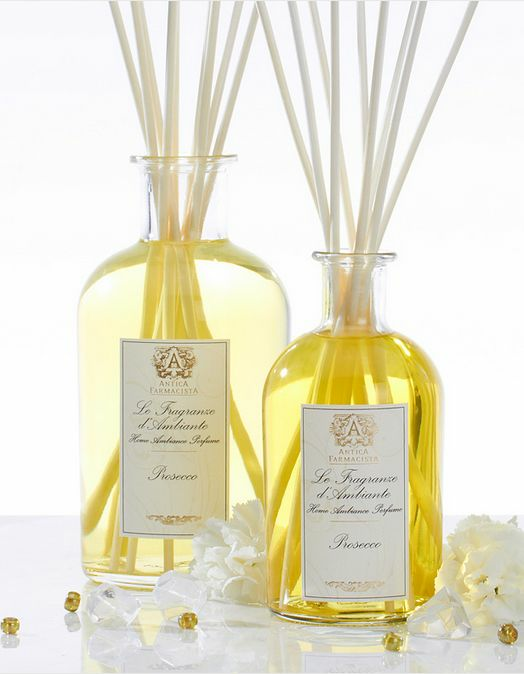 Along with Susanne Pruitt, Shelley Callaghan is one of the owners of Seattle-based brand, Antica Farmacista, a luxury home fragrance line that smells oh-so-wonderful. The elegant fragrances aren't just for your abode—we love the idea of using the collection of pretty glass diffusers, decanters, and candles to scent your ceremony and reception venue. Our favorite fragrances for weddings: Prosecco; Peonia, Gardenia & Rosa; and Damascena Roe, Orris & Oud. We noticed Callaghan on the Nordstrom blog and had to know if that lavender Cadillac was truly hers (it is), who inspired her great style, and where can we go to get the look. Shelley Callaghan, Creative Director and co-owner of Antica Farmacista. At my core, I am a jeans and t-shirt girl. I would consider my style as classic, bohemian casual and never too precious. I love the blend of rugged and refined, feminine and masculine, modern and vintage. I am a fit and proportion junkie; I’m much more concerned about quality, design and cut than the label in the garment. Who is your favorite designer or style icon? My new favorite designer obsession is a brand called LGB. I can’t get enough of their jackets, and I’m rarely without a leather jacket or blazer. My daily work uniform consists of worn in jeans (by AG, Stella McCartney or J Brand), a white T-shirt by either J.Crew or Rick Owens. A leather jacket by Helmut Lang or a blazer by LGB. Thin arms, long body, fitted but wears like a sweater; [I’m] obsessed with this designer! An armful of brass and silver bracelets; a culmination of old and new… I feel absolutely naked without my jewelry. Leather bohemian sandals wrapped up the ankle or a pair of common projects high tops. This is my standard uniform! What are your favorite shops, places to people watch or get inspiration in Seattle? Whether on the road traveling or literally on the street, I love watching people. I work next to Pike Place Market and live on Capitol Hill so my daily strolls and commutes are chock full of color on the streets. From youthful Seattle street wear to minimalist style to wacky “more is more” style, I embrace all of it. My favorite shops in Seattle are Essenza for jewelry, Totokaelo for the best basics, Steinbrueck Gallery for amazing Native American jewelry, and Baby and Company for pretty much everything.